Born in 1951, Dr. P. Himasagara Chandra Murthy has acquired his Post-Graduate qualification from Gujarat Ayurved University, Jamnagar under the tuetellage of Prof. Harishankar Sharma and Dr. M. U. Bahadur in the subject of Rasasastra & Bhaisajyakalpana in 1979. Having come from a family of traditional Ayurvedic Practitioners, Dr. Murthy has utilised the guidance and expertise of his father, late, Dr. P. Seshagiri Sharma. He has served the society in the capacities as teacher, clinician, researcher, social worker and consultant to many institutions. He has also been a member of boards of study and examinations to many universities. 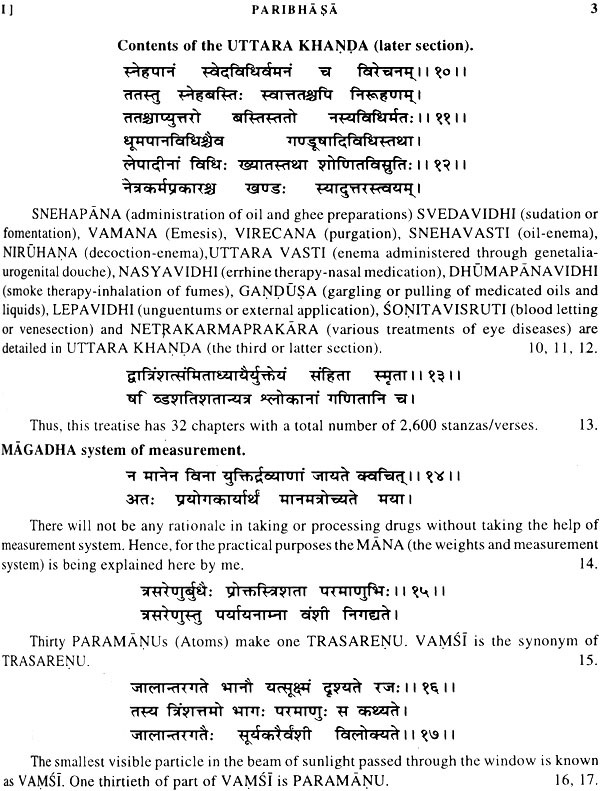 So far, he has brought out five publications on Caraka Samhita, Rasasastra and Ayurvedic management of diseases. inevitable. But one has to (make efforts to) avoid diseases." This statement shows the concern of Sarngadhara towards the ailing humanity which is why he came out with a very useful work like this. As per the colophon given at the end of each chapter, Sarngadhara is considered to be the son of Sri Damodara. Other details, like, his time and place are not given anywhere in the book. 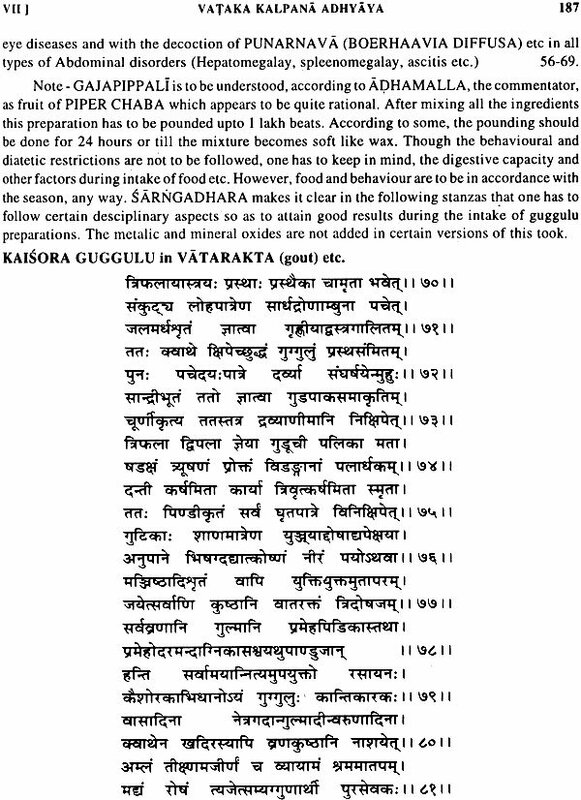 Not getting into confusion with Sarngadhara, the author of Sarngadhara Paddhati; Sarngadhara of Sarngadhara Trisati and Sarngadeva of Sangitaratnakara, one should identify the author of the present work as separate individual who can be placed around 13th century, A.D.
Sarngadharasamhita is regarded as one of the Laghutrrayi, the second line triad of Ayurvedic literature, the other two being Madhavanidana of Madhavakara and Bhavaprakasa of Bhavamisra. 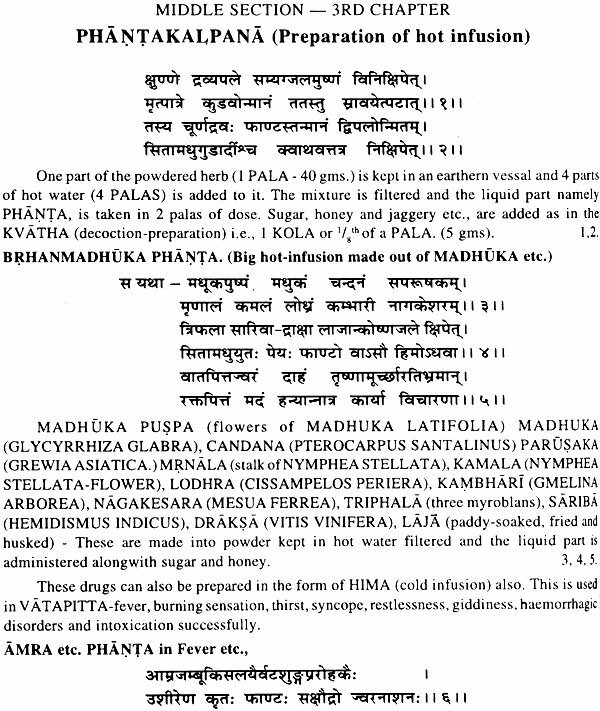 Madhavanidana deals only with diagnosis part of the diseases while Bhavaprakasa is a compilation of all aspects of Ayurveda with more stress on description of herbs. Brhattrayi, the first line triad - Carakasamhita, Susrutasamhita and Vagbhatasamhita are considered as main source of Ayurvedic knowledge. 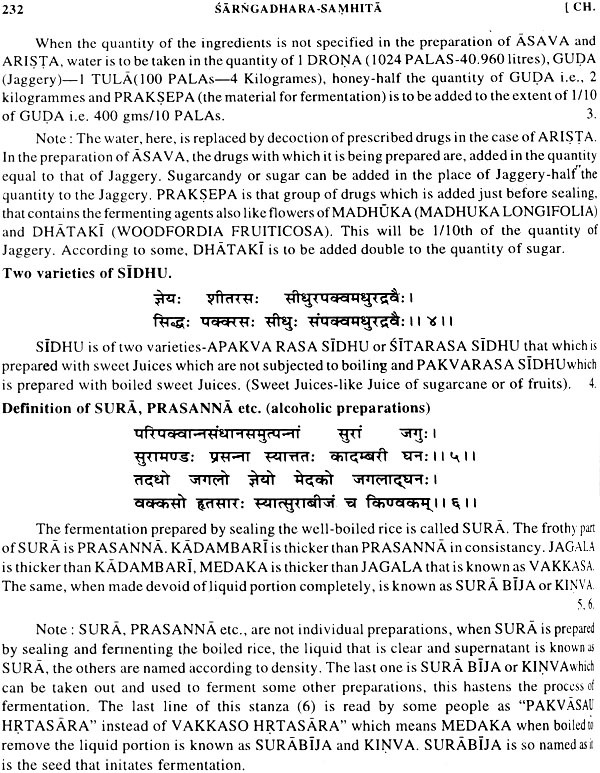 The fact that Caraka and Susruta are the foremost information-sources chronologically and qualitatively for learning of Ayurveda, is universally accepted. All the further works reflect the aphorisms of these two legendary treatises. 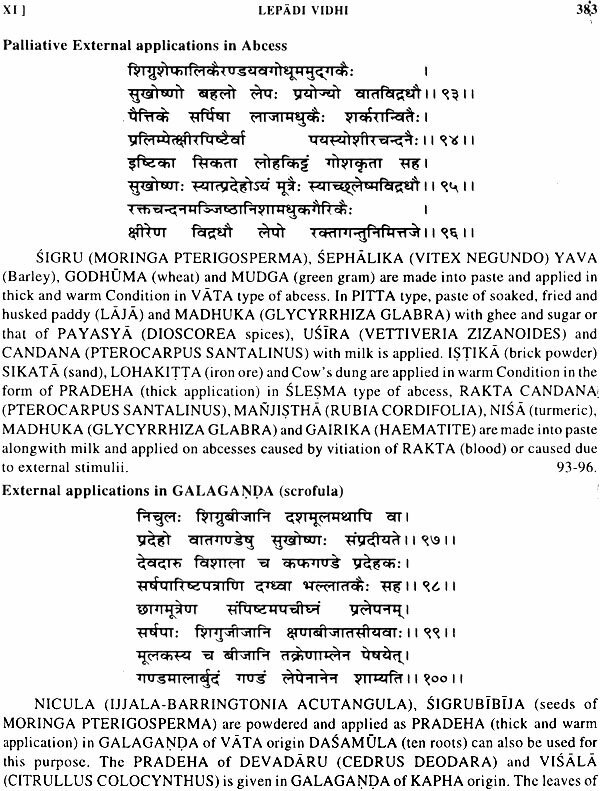 Sarngadharasamhita, though followed the same path, is famous among the Ayurvedic physicians by virtue of its practical usefulness. Nadipariksa - the pulse-examination is given with full details for the first time which is an added advantage for proper diagnosis. 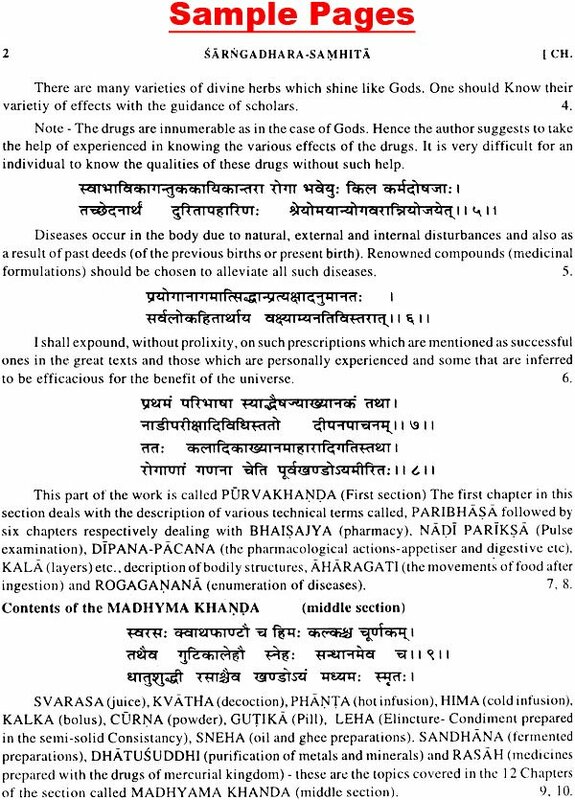 The pharmacological terms are explained along with examples. The principles and practice of pharmaceutics are allotted one complete section - 12 chapters with details given in no other text in Ayurveda, making this book a unique ready reference for such purposes. 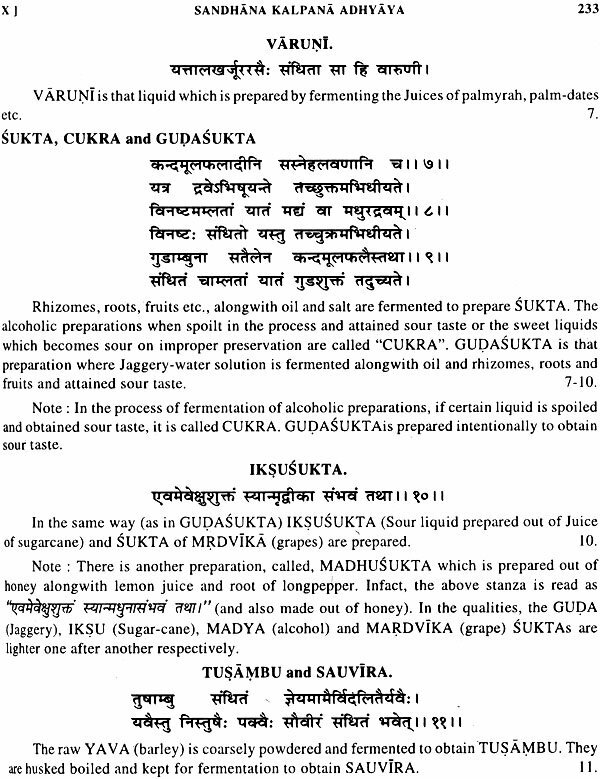 Apart from herbal ism which has been in vogue from the time of Caraka, Susruta and Vagbhata, Sarngadhara included many recipes of Mercurial System making this work replete with a number of fast-acting recipes. 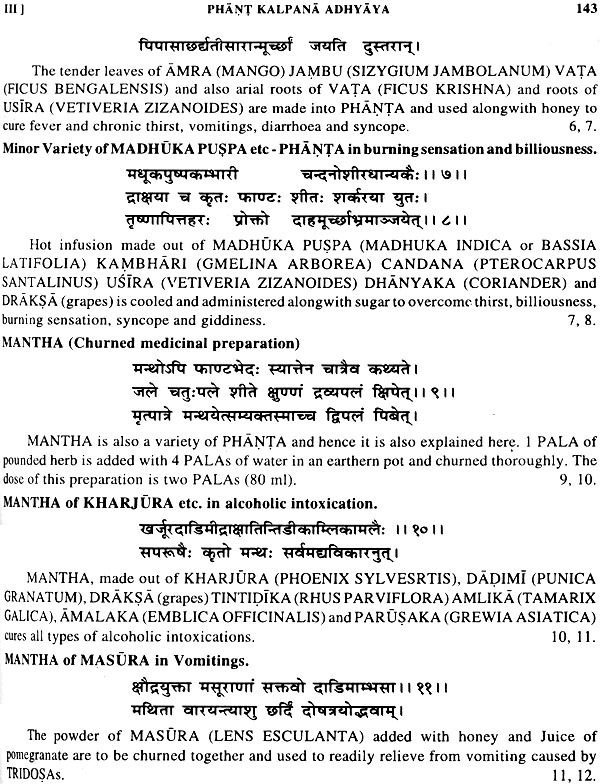 The third section of this book is allotted to Pancakarma, the detoxification therapy of Ayurveda. What is unique about this aspect is that the step-by-step account of each therapy is detailed very diligently making this work more adoptable. The recipes given in the 11th chapter of the later section are sure-remedies for so many minor diseases. 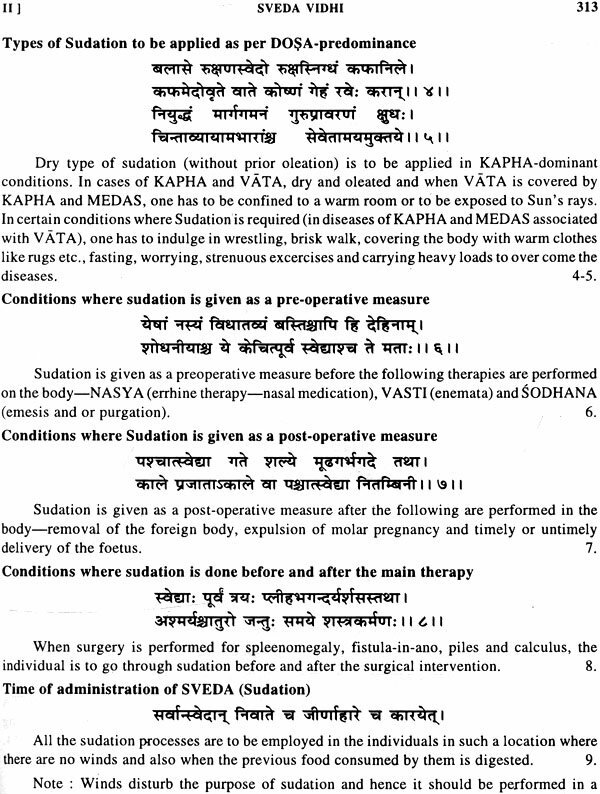 The 13th chapter of the later section gives the details of various processes and therapies to be adopted in the eye-diseases. 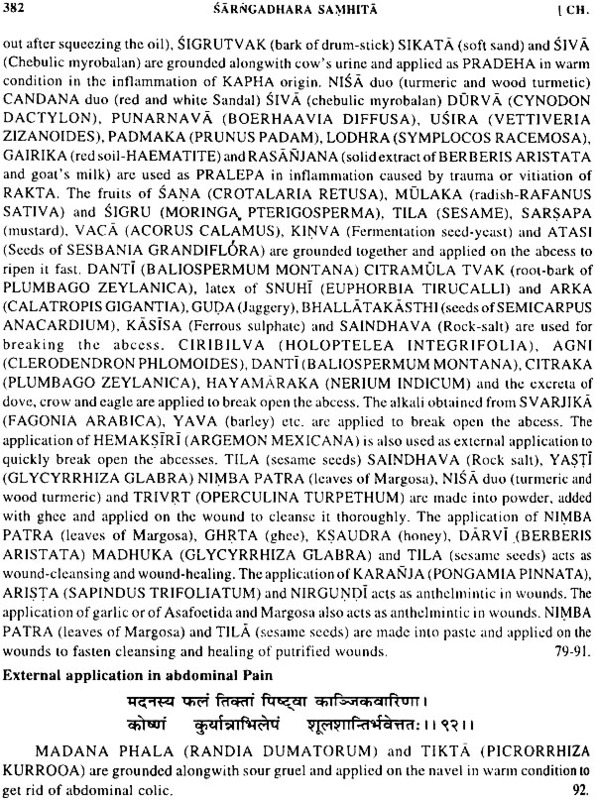 On the whole, this book is presented in a manner that can cater to the felt-needs of an Ayurvedic practitioner. The students and researchers have been finding this book a source of practical information in all aspects of Ayurveda. 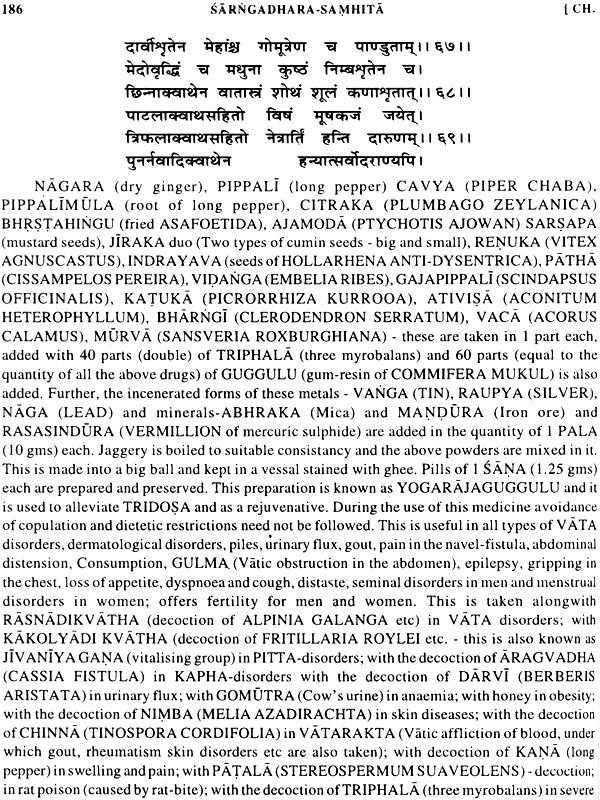 The English-translation of this work is aimed at making this help, the practitioners and zealots of Ayurveda, all over the world, gain better knowledge of health and medicine. I feel it great privilege that the publishers - "Chowkhamba Sanskrit Series Office" had approached me to take-up the task of translating this work into English. 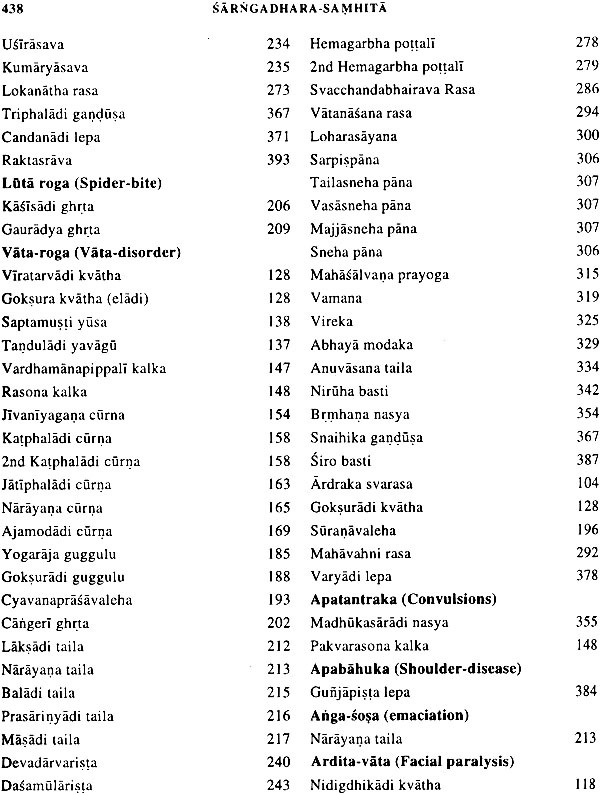 I have added the notes basing on the commentaries of Sri Adhamalla and Pt. 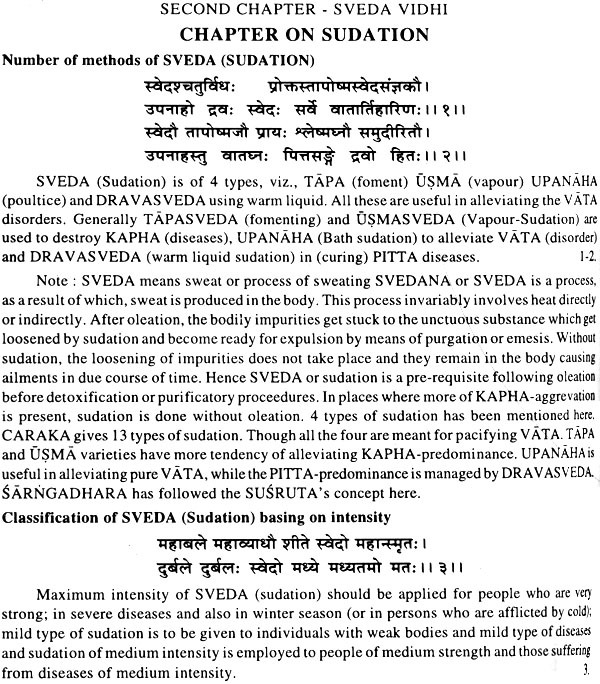 Kasirama Vaidya wherever l felt necessary. 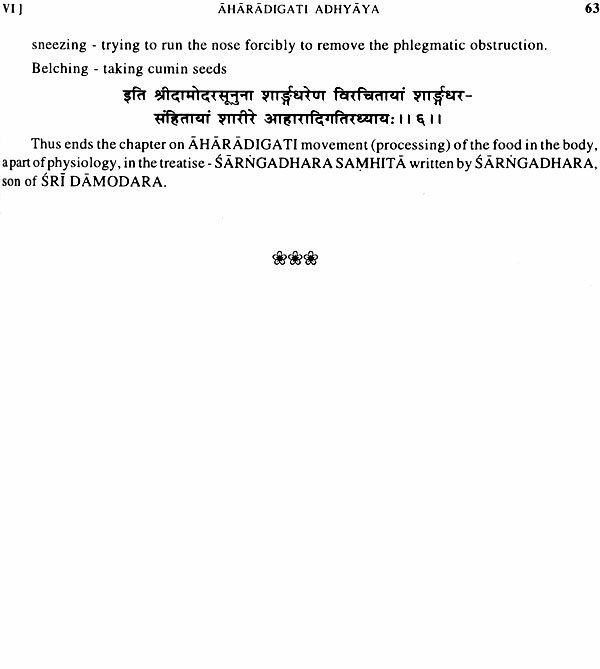 All the merits in this effort go to the eternal Sarngadhara, while I humbly shoulder the responsibility for the demerits if any, for, there are no such short- falls in the Sanskrit version. I request the learned to advise me suitably in this regard for further betterment.